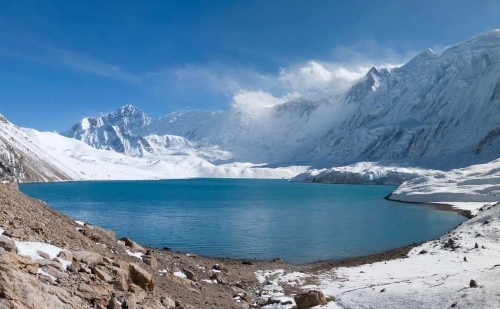 Nar Phu Valley with Kang La Pass Trek will start from Chamje. 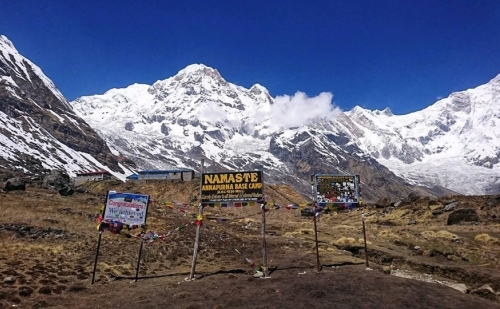 Nar Phu Valley trek offers majestic views of Annapurna, Machhapuchhre, Manaslu, Dhawalagiri, Lamjung Himal, Tilicho Peak et cetera. The trek offers tea house stays with simple accommodation and local Nepali cuisine, but you can also opt for camping. Exploration of hidden valleys and beautiful villages along fabulous landscapes makes the trek special. Nar Phu Valley trekking is a unique experience of exotic rock formations, enchanting forests, canyons, monasteries, yaks and unique Himalayan culture. Into the remote villages of Nar and Phu, where yak herding and farming is still the basis of livelihood, you will find around 300 Nepalese Tibetan inhabitants. The trek, opened to tourist in 2003, is laborious yet equally rewarding with preserved medieval Tibetan culture, mesmerizing mountain views and beautiful landscape. Nar Phu Valley trek takes the Annapurna circuit trail till Koto and separates out into the beaten tracks to the Trans Himalayan zone. 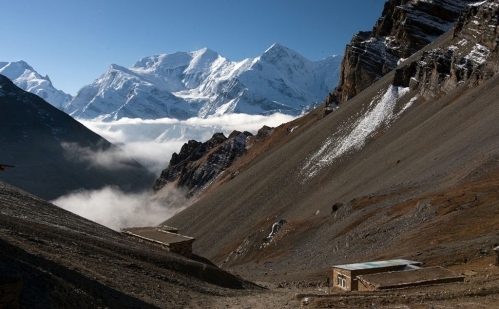 Climbing through high passes like Kang La(5315m) and Thorung La, the trek offers the wilderness of the remote Annapurna along with an insight into the undisturbed age old tradition of the inhabitants of Nar Phu. The entrance to the hidden valley is narrow and forested, but the valley opens up to ancient villages and grazing settlements in high altitude. Till the Phu village, Buddhist pilgrims visiting Tashi Lhakhang Gompa may cross paths. 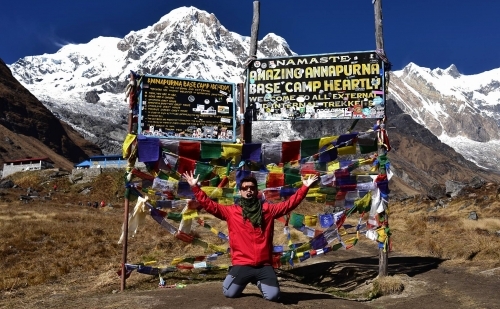 After crossing the Kang La, passing through great views of Annapurna II, Gangapurna and Tilicho peak, the path leads to Manang to join the Annapurna circuit trek. From the beautiful village of Manang, we move to Chame and drive back on private jeep. Day 1 :Arriving in Kathmandu (1350m). Day 2 :Nar Phu Restricted area trekking permit preparation and briefing of Trek. Day 3 :Drive from Kathmandu – Besishahar -Chamje (1310meters, 9 hours driving). Day 4 :Trek from Chamje to Dharapani (1920meters, 6 hours walking). Day 5 :Trek from Dharapani to Koto (2600meters, 5 hours walking). Day 6 :Trek from Koto to Meta (3230meters, 7-8 hours walking). Day 7 :Trek from Meta to Phu Village (4050meters, 7-8 hours walking). Day 8 :Excursion around Phu Village and Monastery. Day 9 :Trek from Phu to Nar Village (4150meters, 7-8 hours walking). Day 10 :Explore Nar Village. Day 11 :Trek from Nar - Kang La Pass -Ngawal (3675meters, 8-9 hours). Day 12 :Trek from Ngawal to Manang (3550meters, 4 hours walking). Day 13 :Explore around Manang. Day 14 :Trek from Manang to Chame (2650meters, 7 hours walking). Day 15 :Chame Drive to Kathmandu. Staffs, equipment, meals, salary, insurance etc..
Farewell dinner at Nepali Restaurant in Kathmandu. All the drinks like mineral water, Fanta, coke, beer, tea, coffee etc. Day 1 :Arriving in Kathmandu (1350m).Our Airport Representative will meet you at the Tribhuwan International Airport. A drop to the Hotel by private tourist vehicle is arranged. You can either take a rest or meet us at our office and know the detail arrangement of the Trek. A welcome dinner at a traditional Nepali restaurant. Day 2 :Nar Phu Restricted area trekking permit preparation and briefing of Trek.Nar Phu restricted area permit requires your original passport along with the visa for Nepal. After the introduction to the trek guide, you will be briefed about the tour. Day 3 :Drive from Kathmandu – Besishahar -Chamje (1310meters, 9 hours driving). The drive from Kathmandu to Chamje passes through rolling hills that makes up most of the hilly terrain of the country. Winding roads along green hills makes the drive scenic and interesting. Day 4 :Trek from Chamje to Dharapani (1920meters, 6 hours walking).The walk begins on a rocky trail by the Marsyandi River that ascends to Tal, the first village in Manang district. The trail then crosses a wide and flat valley followed by stone stairway. Through small ascents and descents, we reach a stone chorten which is typical to the entrance of Tibetan influenced villages, the gate to Dharapani. Overnight stay in a lodge. Day 5 :Trek from Dharapani to Koto (2600meters, 5 hours walking).After a short walk we reach Bagarchhap where the first exquisite views of Annapurna II awaits us. 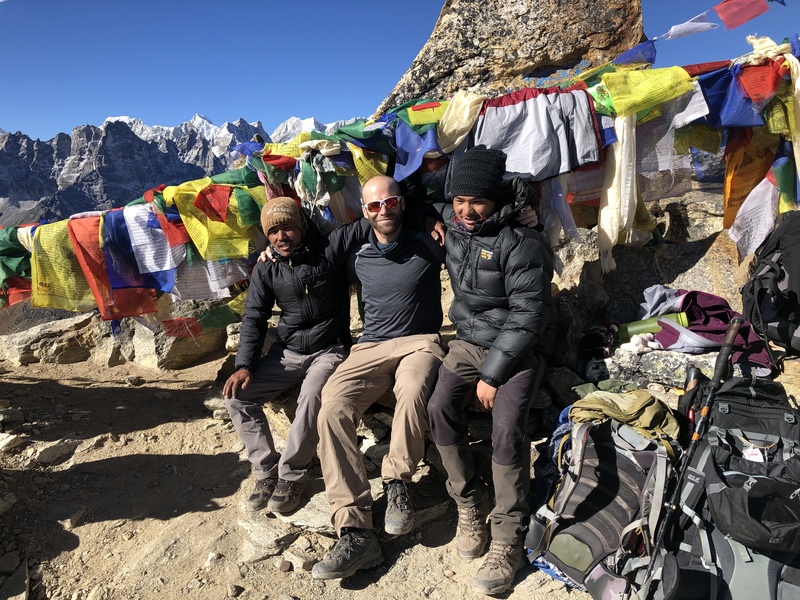 Climbing to Timang through rough trails, we reach the elevation of 2460m where the views of Manaslu and other peaks are beautiful. Through forested landscape, we move to Thanchok village and then to Koto. 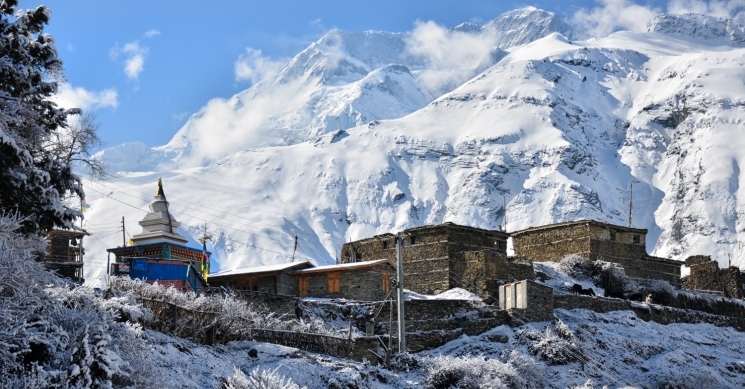 The headquarters of Manang, Chame is blessed with undisturbed views of Annapurna and Lamjung. Overnight stay at a Lodge. Day 6 :Trek from Koto to Meta (3230meters, 7-8 hours walking).Today’s walk takes us through the restricted areas of Narphu valley. We carry a packed lunch. Following a rocky trail along Nar Khola and Greenland forest, the walk to Meta is about eight hours long where we rest after this adventurous day. Day 7 :Trek from Meta to Phu Village (4050meters, 7-8 hours walking).The walk to Phu Village passes along desert like areas and small villages of Chyakhu and Kyang. These villages are an alternate settlements to its inhabitants. 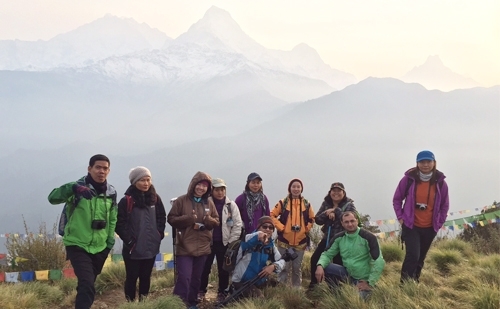 The trail then slowly elevates and descends to reach Phu Village where views of Annapurna massif forms the backdrop. Overnight stay at a lodge. Day 8 :Excursion around Phu Village and Monastery.We explore the Phu Village and visit the Tashi Gompa today. This day is set for acclimatization as we are gradually gaining altitude and it also serves as a rest after the strenuous walks in the last two days. Day 9 :Trek from Phu to Nar Village (4150meters, 7-8 hours walking).The walk to Nar Village takes the trail back through the valley. After passing Chaku, the trail continues for a few hours before we reach the Nar Phedi. We cross the Phu Khola and start ascending for a couple of hours to reach Nar village at an altitude of 4150m. Day 10 :Explore Nar Village. We explore the Nar Village and its four nearby monasteries today. It’s a rest day as well before we climb to the Kang La Pass. Day 11 :Trek from Nar - Kang La Pass -Ngawal (3675meters, 8-9 hours).Our walk starts early today, as it’s a long walk to Ngawal. 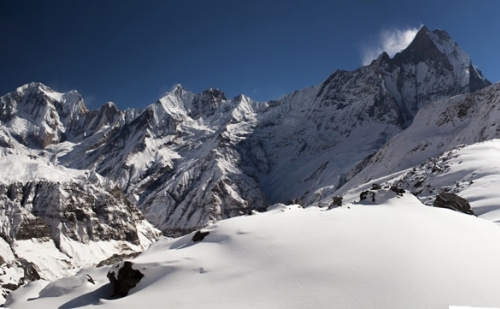 We ascend to the Kang La pass where the giant Annapurna massif forms a scenic beauty. We then take the trail down to Ngawal. Overnight stay in a lodge. Day 12 :Trek from Ngawal to Manang (3550meters, 4 hours walking).From Ngawal, we walk along the easy and flat descend to pass the Braga Village, a beautiful settlement. 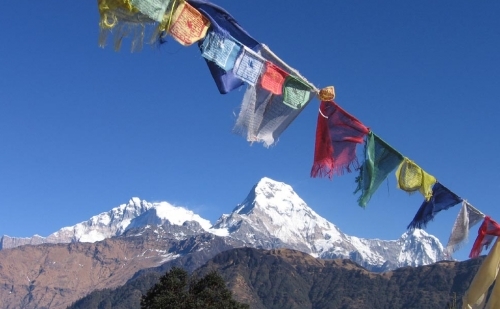 Views from here include the Annapurna II, III and IV, Gangapurna, Tilicho Peak. The monastery at Braga is a splendid one. A short strenuous climb takes us to the large village of Manang where we set camp for the night. Day 13 :Explore around Manang. This day is set for the exploration of the beautiful Manang village, the largest settlement in the valley and its periphery. 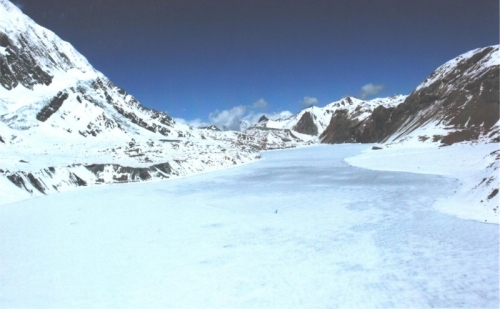 Among the many options, the Ice Lake (4600m) is a six hour hike with wonderful mountain views and beautiful ice lake and Praken Gompa is a short walk with great views of Annapurna where you get blessings from a Lama. 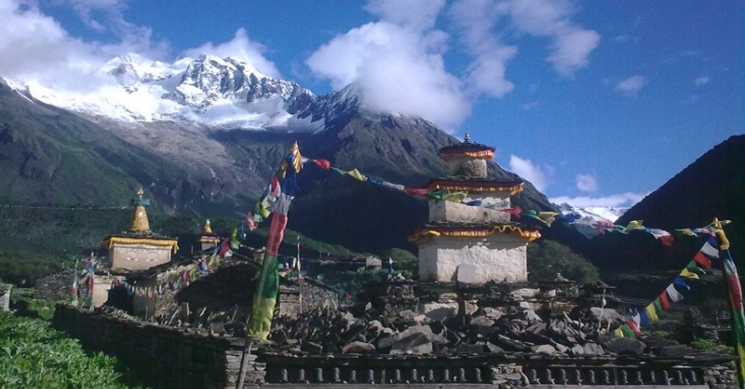 The Gangapurna glacier, Khangsar village and Milerepa cave could be other enjoyable expeditions. Day 14 :Trek from Manang to Chame (2650meters, 7 hours walking).The trek from Manang to Chame passes through Humde and Pisang village. The seven hours journey is along a wavy trail. Reaching Chame marks the end of our trek. Overnight stay at a lodge. Day 15 :Chame Drive to Kathmandu. The drive to Kathmandu first on a jeep and then on a local bus is a long one. Overnight stay at the hotel. Day 16 :Transfer to Kathmandu International Airport or onward for next program Departure from Kathmandu. A drop from the hotel to the airport 3 hours before the scheduled time of flight is arranged in a private tourist vehicle. You can also opt for any of our other packages and extend your stay.